Pools members’ savings (also known as ‘shares’) to make low-cost loans to other members. Has a ‘common bond’ that determines who can join. The common bond might be for people living or working in the same area, people working for the same employer, or people who belong to the same association, such as a church or trade union. 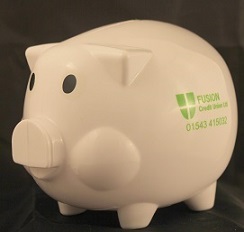 Membership of Fusion Credit Union is open to anyone who falls within our registered ‘common bond’ – ie, living or working within the boundaries of Lichfield District Council. We were registered in March 2005 after five years of work by council and voluntary organisations and later, by our team of individual founder volunteers. We still operate entirely through our team of volunteers. The operation of every credit union is managed and controlled by an elected Board of Directors. All officers of the credit union are members of the credit union, who are elected by the membership at the Annual General Meeting. Each member has one vote, regardless of the amount of their savings. Click here for the Fusion Credit Union Directors. Whilst credit unions might employ staff to manage the credit union on a day-to-day basis, control lies firmly within the hands of the members, through their elected representatives.